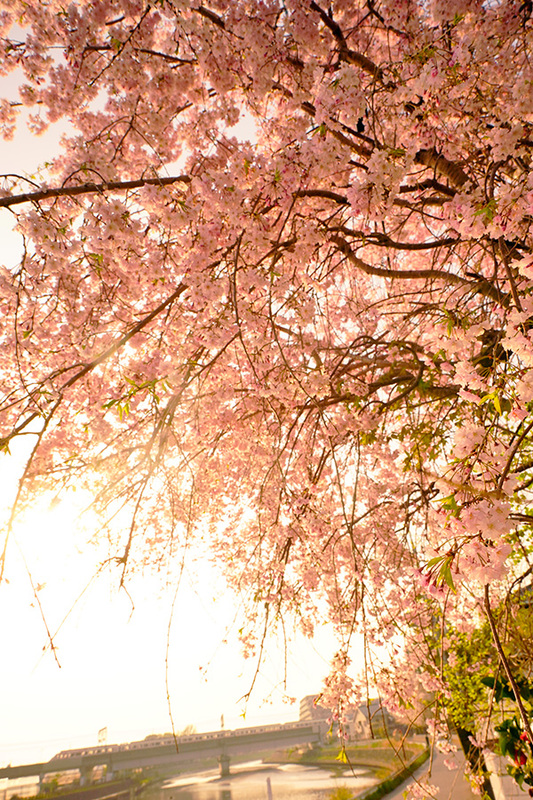 Although the cherry blossoms were fallen,spring still continue. It is Ryou-Mou-Gou in Taiwan color that the train running through behind vivid cherry pink. I'm in Japan but the evening had foreign atmosphere.